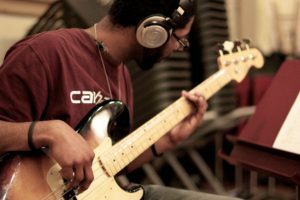 Take student-led bass guitar lessons from professional performing musicians right here in Nashville. Learn the music you like to listen to, and learn to implement the music theory when it comes up in your learning. Green Hills Guitar Studio’s teachers tailor your learning to the music you want to play. You learn best when you enjoy what you’re playing, instead of learning scales without knowing how to use them. Some teachers give students the same routine, but our teachers are organized and linear without putting students through a cold, inflexible curriculum. Bass guitar instructor Patrick Atwater is a professional performing and recording musician with years of musical experience. He has studied and performed multiple styles of music and types of bass guitar. He uses this experience and knowledge to help students learn and develop the skills necessary to reach their own goals as musicians. 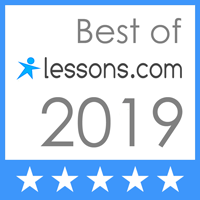 Whether you are looking for a new bass instructor to get you out of a rut or if you are looking to begin bass lessons, there are 3 questions worth asking yourself. And then contact Green Hills Guitar Studio to begin your journey. The bass guitar serves a very important role in music. Science has proven that bassists are one of the most important band members…sorry singers! Bass guitar provides very vital and fundamental roles in music and varied ensembles. Traditionally, the bass provided rhythmic and harmonic foundation. When is the last time you saw or heard a band without bass? The third function and role of a bass player is melody. Ready to learn bass? Fill out the contact form and we’ll get back to you soon.